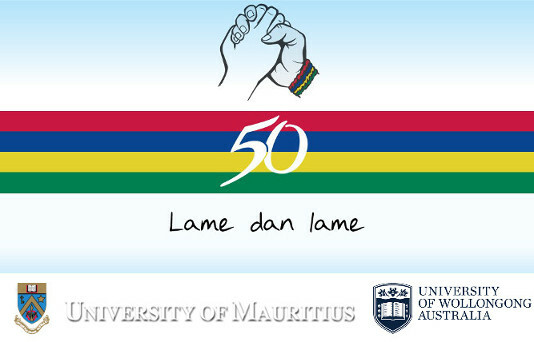 Citation: Julie Lefort, Chinese Languages spoken in Mauritius: An Overview, Lame dan lame? La main dans la main? Hand in Hand? Conference, University of Mauritius and University of Wollongong, 2019. Abstract: Up to now, studies on the Chinese community of Mauritius have mainly focused on Chinese immigration and settlement from a historical point of view and little attention has been given to Chinese languages and linguistic practices involving Chinese languages. Although different varieties of Chinese are spoken in Mauritius, namely Hakka, Hokkien, Cantonese, and to some extent, Standard Mandarin, the few studies on Chinese languages of Mauritius have focused on the Meixian-Hakka language, which is often seen as the only variety spoken in Mauritius. In this article I provide an overview of the Chinese languages spoken in Mauritius from a sociolinguistic perspective. I give an introduction about the history of Chinese immigration to Mauritius in order to understand how these varieties have led to today’s situation and will show that the Chinese community of Mauritius is not as homogeneous as it is often believed to be. I will try to classify the different speakers according to the Chinese variety they speak and their situation, giving concrete examples of families in which this particular variety is spoken. I will show that the Chinese languages spoken in Mauritius can be classified between ancestral transmitted ones and imported vehicular ones. Bio: I hold a PhD in Science Language from EHESS Paris. I have been a part time Chinese language teacher and lecturer at MGI & UOM, a freelance translator and an independent researcher since 2010. My main research focus is on contact language situations involving Chinese Varieties in China and in Mauritius.